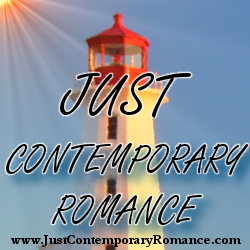 I am so excited to be doing a guest post on Just Contemporary Romance to chat about book three of my Kendrick Place Series. Brady and Mia’s story was, by far, the most challenging with the most satisfying result. Brady has had the longest time to develop over the course of the series and while I was thinking of that and wondering what I should chat with readers about, I started thinking about the power of developing a story that moves beyond book one. I just finished reading Jennifer Probst’s book, Write Naked, which was a beautiful book about the craft of writing and she talked about having an idea of who your secondary characters are so that you can build on them. She mentioned that it’s a lot harder to go back and change a character than it is to plan for them. For me, the characters kind of waltz onto the page as they please. But with this series, I definitely started to understand what Ms. Probst said about having an idea of who the characters are and who they’re going to be. From the beginning, Brady Davis has been the happy-go-lucky, big-brother, good-guy neighbor that everyone loves. Mia Kendrick is one of the only people who has every really pushed all of his buttons—even ones he didn’t know he had. Holy hell. The woman had saved her brass-knuckled uppercut for when he’d looked away. But her words hit him dead center, stopping his heart for two full beats. In that time, he was back in all the situations where he’d never measured up. Not for his mom, his dad, his brother, or Bethany. So why did her putting him so firmly in his blue-collar place—a spot he was perfectly comfortable with—feel like spikes driving through his chest? Watching Mia affect Brady in a way no one else has was…interesting. I had to go back to books one (More than Friends) and two (The Bad Boy Next Door) to remind myself of how he was always able to be the sounding board or go-to-guy for the people in the building, but Mia leaves him floundering. And not always in a bad way. The thing is, even though I’m a pantser (meaning I dive into the story until I hit a road block), I know secondary characters are important. Just like in our real lives, the people we surround ourselves with impact who we are…who we might become. This is true for our characters, too. For Brady and Mia, they push each other to be more than the preconceived notions they each started with and I think that Brady, in particular, has really grown and developed over the course of the series. The first three books in the Lucky Harbor Series by Jill Shalvis. (This is actually a huge series but I bought the first three as a bundle and fell in love). Men Who Walk the Edge of Honor Series by Lori Foster (Again, more than three but I bought the original three together). The Bride Quartet by Nora Roberts. I can’t even explain how much I love these four books. The connection between the characters pulls you all the way through the stories and makes you need the next one to see where the characters end up. And even though romance is my favorite genre, regardless of what book I’m immersed in, the more the merrier. I never want to let go of the characters when I love a book. Feeling this as a reader impacts my writing for two reasons: one, I don’t want to let go of the characters I’ve created any more than I want to let go of someone else’s. And two: if I want more as a reader, chances are good that so do other readers. The worry, I think, with a series is that the follow up books will make the reader just as happy as the first one. I hope (and am almost pretty sure) Brady & Mia’s story provides a wrap up to this series that will make readers smile. Do you have a favorite series? Or a favorite stand alone? Have you ever read a stand alone that you wished (hard) was going to be a series?